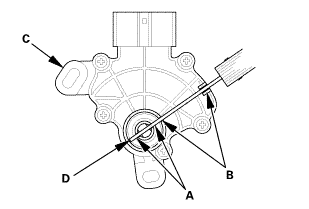 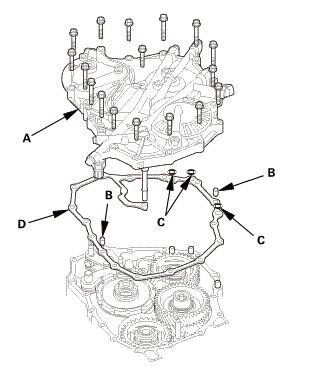 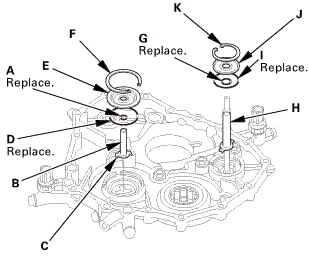 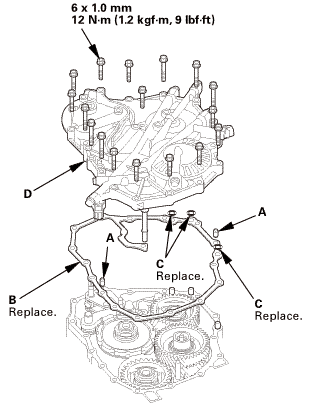 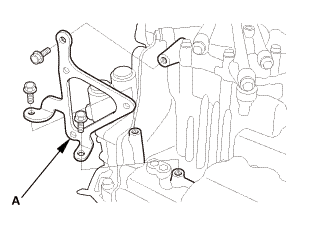 Remove the snap ring (A), the 3rd clutch feed pipe (B), and the feed pipe flange (C) with the O-rings (D). 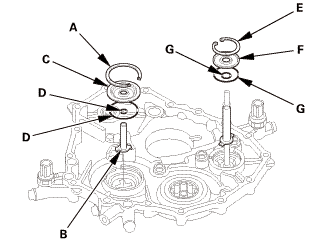 Remove the snap ring (E) and the feed pipe flange (F) with the O-rings (D). 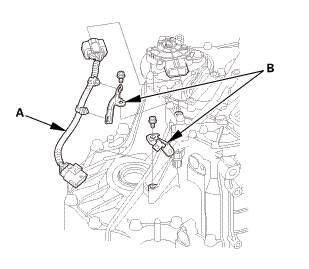 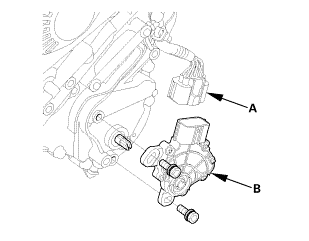 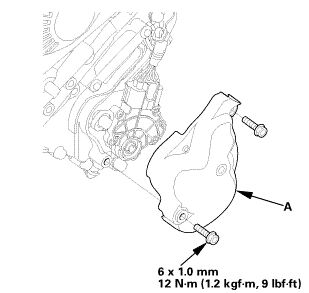 Install a new O-ring (A) over the 3rd clutch feed pipe (B). 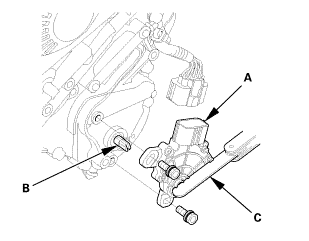 Install the 3rd clutch feed pipe by aligning the feed pipe tabs (C) with the indentations in the end cover. 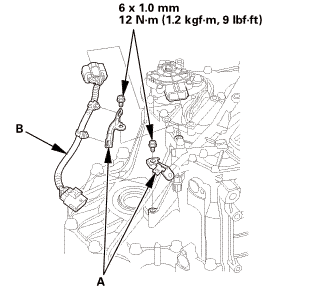 Install a new O-ring (D), then install the feed pipe flange (E) over the 3rd clutch feed pipe. 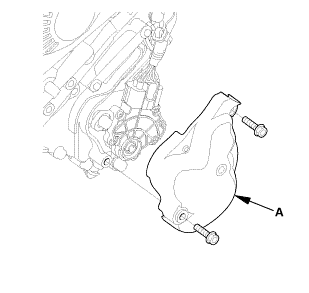 Secure the 3rd clutch feed pipe and the feed pipe flange with the snap ring (F). 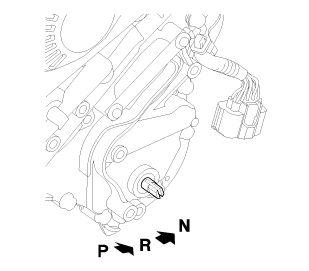 Install a new O-ring (G) over the 4th clutch feed pipe (H). 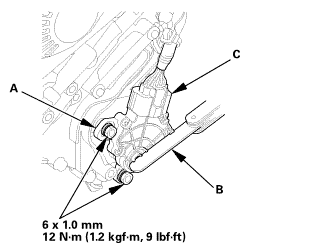 Install a new O-ring (I), then install the feed pipe flange (J) over the 4th clutch feed pipe. 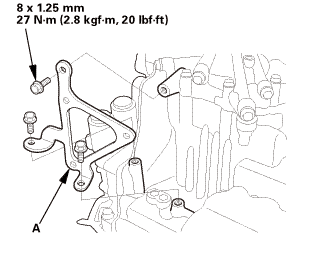 Secure the 4th clutch feed pipe and the feed pipe flange with the snap ring (K).